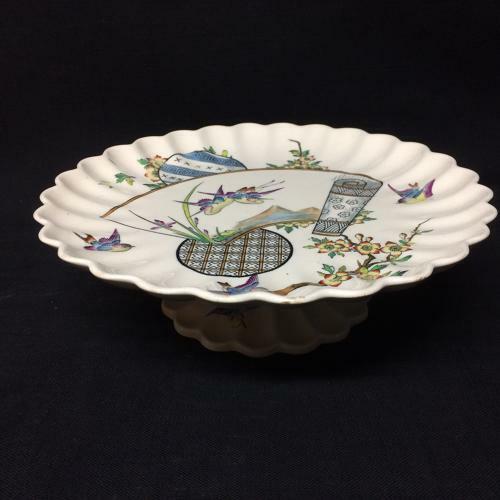 This very desirable Victorian aesthetic 8 3/4 “wide x 2 5/8” tall raised cheese or cake plate is elegantly hand painted under glaze in spectacular colors. Multiple fluting around the rim. The pattern features a Japanesque fan scroll with Egrets surrounded by flower blossoms and birds.